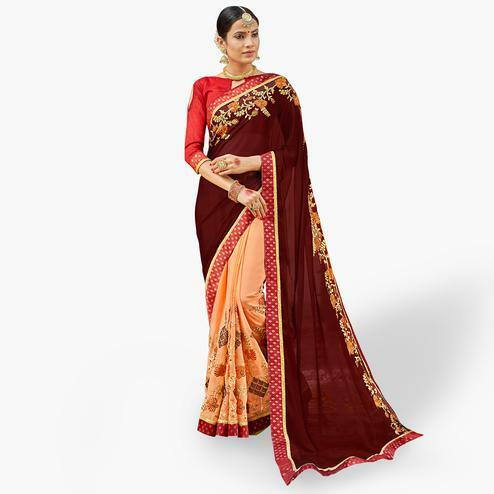 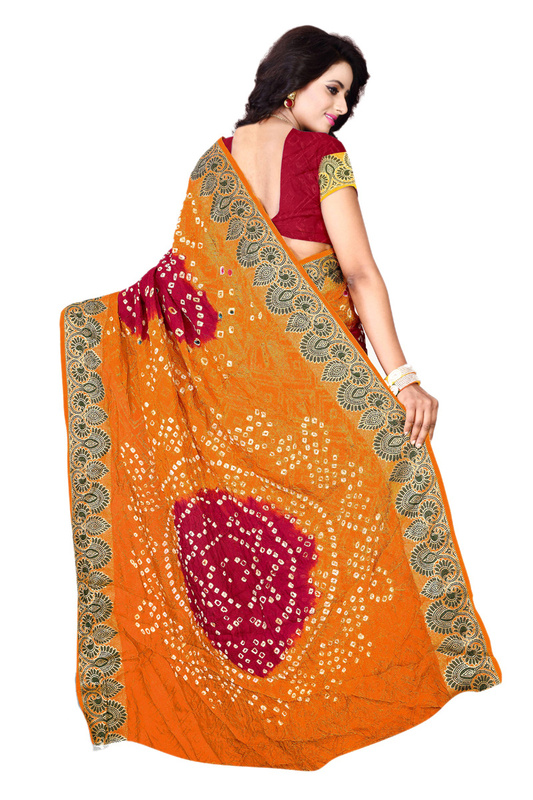 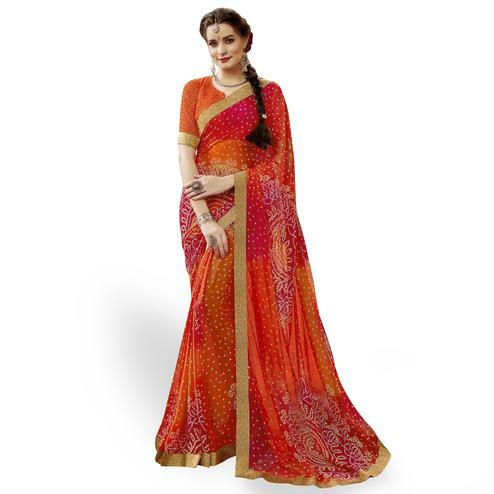 Get an ethnic look with this orange - red saree featuring bandhej print work on jacquard silk fabric. 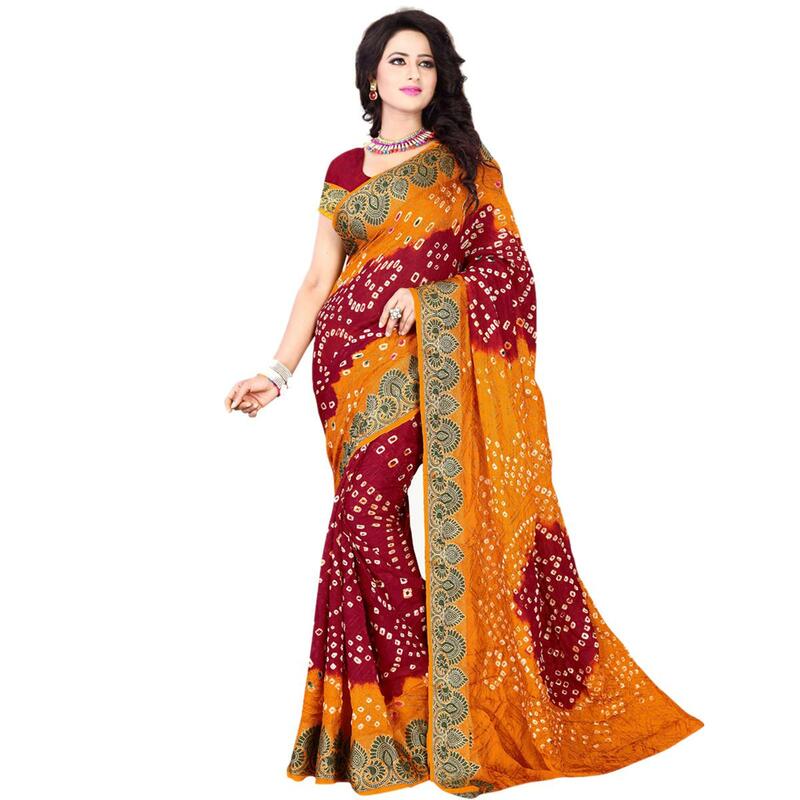 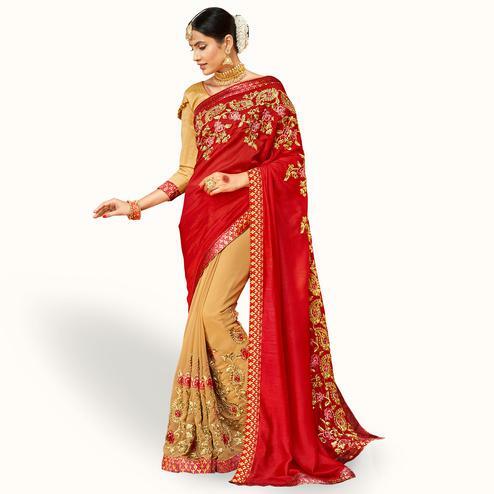 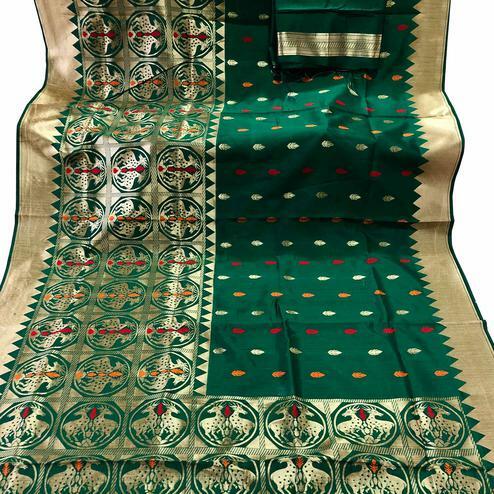 This saree is easy to care & comfortable to wear. 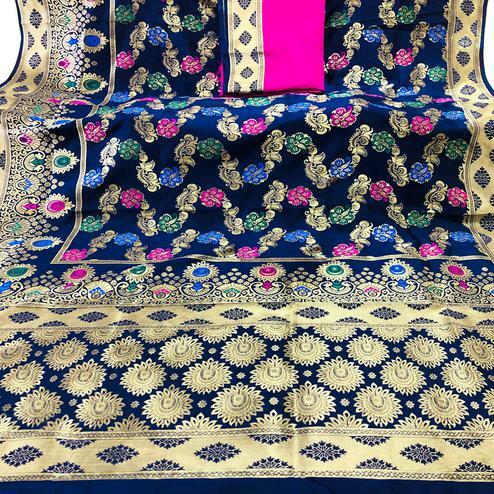 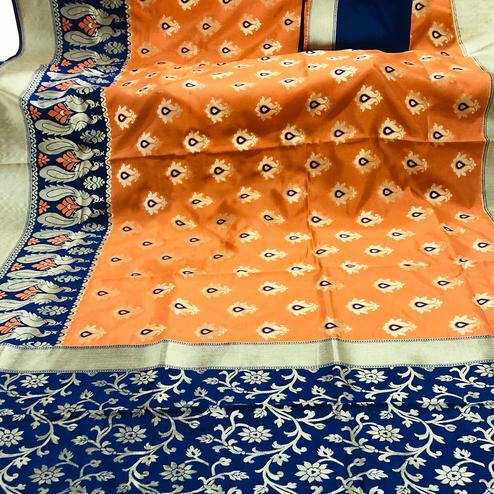 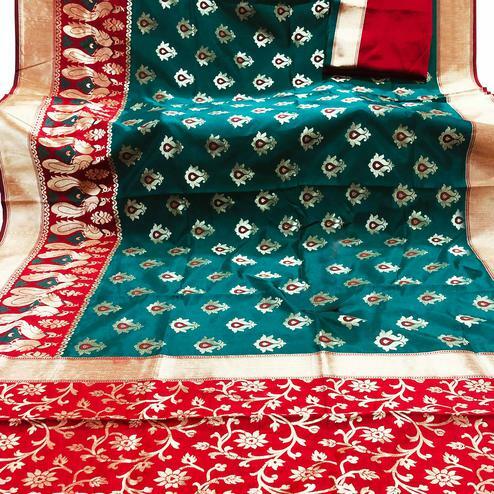 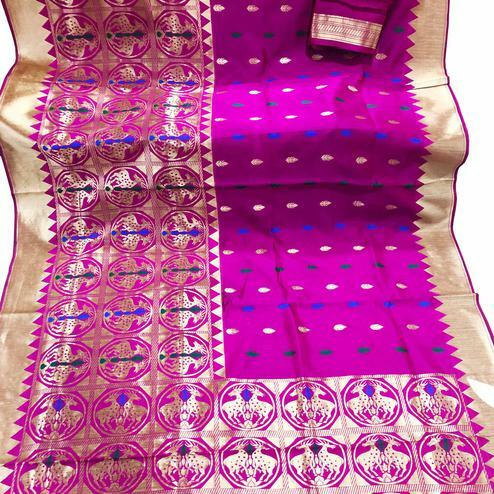 It comes along with an unstitched blouse. 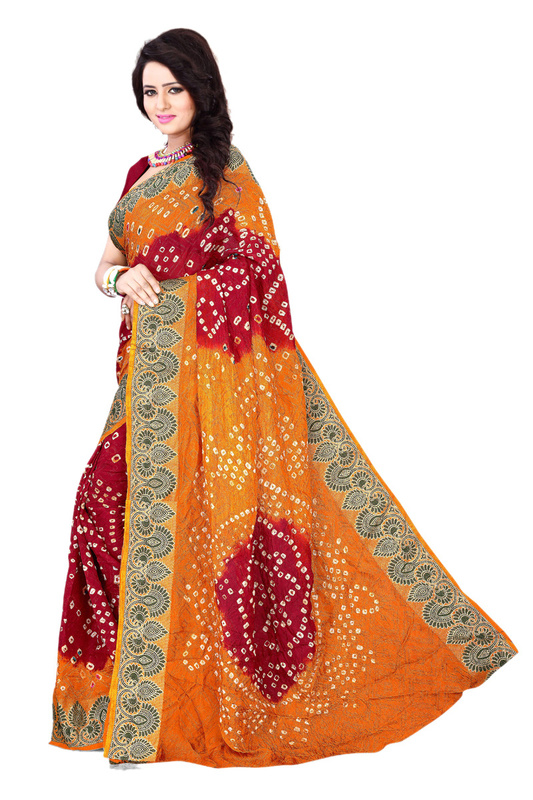 It's an ideal attire for casual events & traditional functions.